Still Believe the GOP Leadership is Better than the Democratic Leadership and Will Play Fair and by the Rules? Yeah, yeah, I know, the election is over and we got Obama again. So, why is this important? It is important for the same reason that history class in school is important. It is important, because people must not be allowed to forget what has transpired and they must be able to recognize when it is happening again. Do you still think that the Republican Party is better than the Democrat Party, when it comes to shenanigans? When it comes to lying? When it comes to subverting the will of the people? Really? Are you still upset that we got Obama again, when it is a very real possibility that we could have had Ron Paul? Do you prefer Obama over Ron Paul? There is talk of another Romney effort in 2016, along with other party hack candidates, like Jeb Bush. Have you learned anything from the last 3 years? Do you understand that it can happen again and likely will, unless you, the voters, stop allowing it to happen? In a new documentary called “Mitt” Mitt Romney all but states that they stole the Republican nomination from Ron Paul. This new documentary was released last friday at the Sundance Film Festival in Utah. 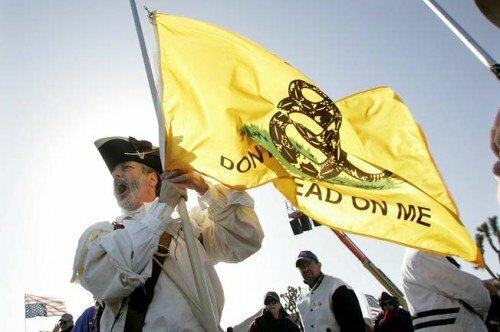 Since the Virginia Patriot Tea Party Alliance, as a non-profit organization, takes no monies, membership dues, fees nor raises or collects any funds in any way, we have allowed Liberty Web Service to provide this website free of charge to Virginia Patriot Tea Party Alliance on the condition that Liberty Web Service is allowed to place third party advertisements on this website that provide Liberty Web Service with associate fees from a third party ad provider. All fees collected by them from this website goes 100% to charity. Liberty Web Service and all associated entities are non-profit. The Virginia Liberty Alliance is a leaderless alliance of Virginia liberty lovers. We are focused on the liberty message and not our own egos or political ambitions. We are for True Limited Constitutional Government that promotes individual Liberty. This blog copyright © Virginia Patriots Tea Party Alliance. All Rights Reserved.